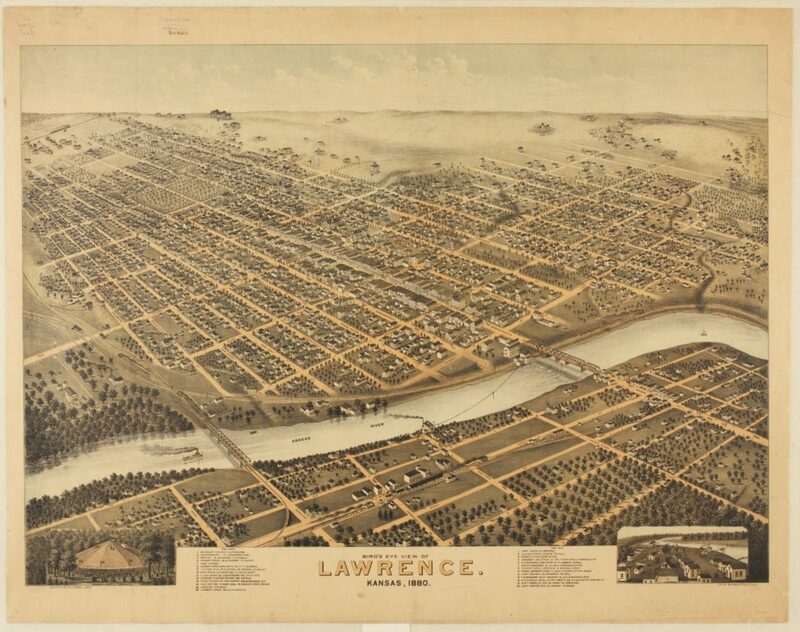 A map of Lawrence from 1880 shows a large ravine running through the city, from Mount Oread to the Kansas River. The ravine was replaced by a brick tunnel in 1911, but no easements were recorded at the time. After discovering a century-old tunnel directly under their house, a Lawrence couple have filed a lawsuit demanding that the city either relocate the tunnel — which is still used for storm water drainage — or pay them for damages. The 6-by-6 foot, arched brick drainage tunnel was constructed in 1911 in response to a typhoid outbreak and follows the course of a ravine that once ran from Mount Oread to the Kansas River. More than 100 years later, when Sarah Merriman and Donna Geisler bought their house at 812 Ohio St., they had no idea that the tunnel ran corner-to-corner under the home. As the Journal-World reported last year, the couple asked the city to relocate the tunnel, but the city declined due to the significant cost of doing so. 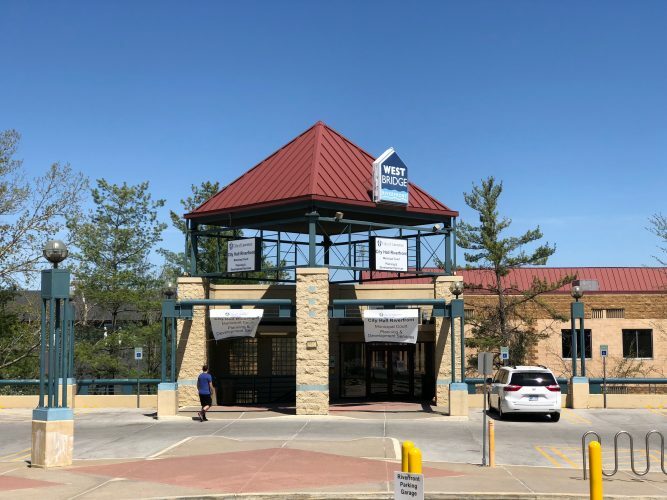 In response, Merriman and Geisler recently filed a lawsuit against the city, saying the city is trespassing on their property and asking that the city award them at least $75,000 in damages and either relocate the tunnel or purchase the property from them. Todd Thompson, the couple’s attorney, said the city needs to remedy the problem. In its response to the lawsuit, the city admits that public record keeping was often incomplete at the time the tunnel was constructed and that the city has been unable to find a written record of an easement. However, the city denies the trespass claim, and says that to relocate the entirety of the tunnel would cost the city millions of dollars. In addition, the city states that the couple has not exhausted all potential action to remedy the situation. 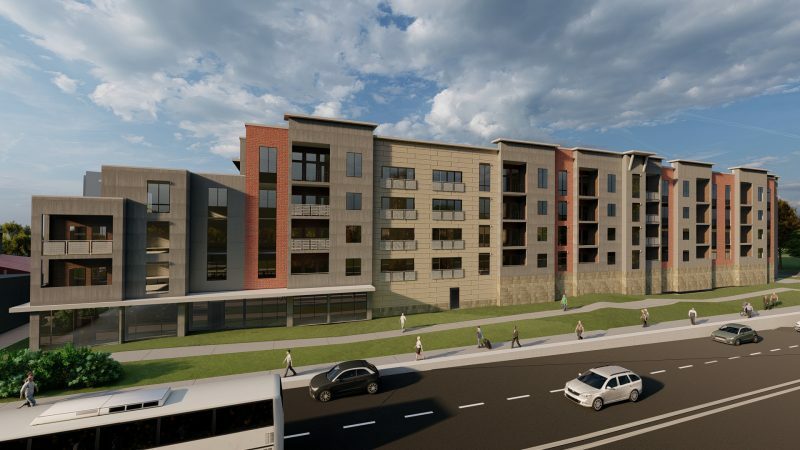 The couple’s circumstance may not be an isolated case, as the 108-year-old drainage tunnel cuts through about 14 private properties in the Oread and Old West Lawrence neighborhoods and appears to run underneath or at least very near to about seven structures, according to city maps of the tunnel’s course. Merriman and Geisler bought the property on Ohio Street planning to tear down the existing house and build a new home, and previously told the Journal-World that as part of that process it was discovered that the tunnel ran directly under the house, as opposed to closer to the property line, at a depth of only 3.5 feet. The lawsuit states the city declined to purchase the property from the couple. 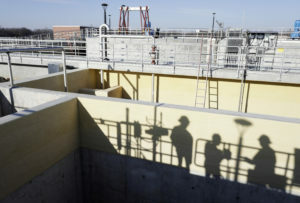 The lawsuit alleges that the city unlawfully installed the drainage tunnel and that the tunnel makes the couple’s construction plans infeasible, clouds the property’s title and diminishes the property’s value. Thompson said the register of deeds office exists so such documentation can be filed, and nothing was found. 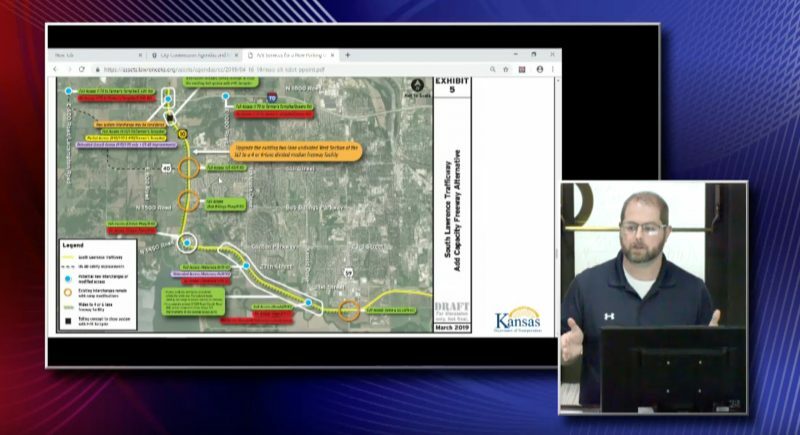 Regarding the documentation related to the construction of the drainage tunnel, City Attorney Toni Wheeler said the practice at the time the tunnel was built differs from how the city records easements today. Though no recorded easement has been found, the city claims it has a “prescriptive easement” for the tunnel. The city’s response states that though it did not obtain the easement by purchase, condemnation or other means, it subsequently acquired a prescriptive easement. Wheeler said a prescriptive easement is a right in Kansas to use the property of another that is acquired by use that is open, continuous and notorious for a period of 15 years. The response notes there are storm water inlets in the area that connect to the tunnel. An outbreak of typhoid in 1910 affected about a dozen people in present-day Old West Lawrence and caused at least one death, according to newspaper archives from October 1910. Lawrence Daily World archives from the time say the typhoid bacterium was found in the ravine and determined to be infecting nearby drinking water wells. The report states that a committee from the city council, the county health officer and the city sanitary officer inspected the West Lawrence district where the outbreak was occurring and found the ravine contained sewage, manure, food waste and other garbage. In its response to the lawsuit, the city denies that the tunnel constitutes a trespass on the property and that the tunnel was constructed unlawfully. The city states that the city constructed the tunnel, known as the McCook-Henry Storm Sewer, in response to a 1910 outbreak of typhoid fever. The city states that though the construction was not done via purchase or condemnation, the owner was aware of the construction and took no action to prevent it or eject it. Wheeler said the city is sympathetic to the couple’s situation, but that the drainage tunnel was constructed for public health reasons. The city’s response notes that at least one person died due to the typhoid outbreak, and newspaper archives from the time indicate the tunnel was constructed in an effort to control the spread of the disease. Wheeler said that to her knowledge, the city has not been contacted by other property owners regarding the tunnel. The lawsuit goes on to state that city staff told the couple that they would only permit them to build a new house on the property if an engineering study showed the home would not harm the drainage tunnel and if the couple indemnified the city of any liability should the tunnel collapse and damage the home. The lawsuit claims that Merriman and Geisler are entitled to an order ejecting the city from the property by redirecting the storm water and filling in the tunnel. 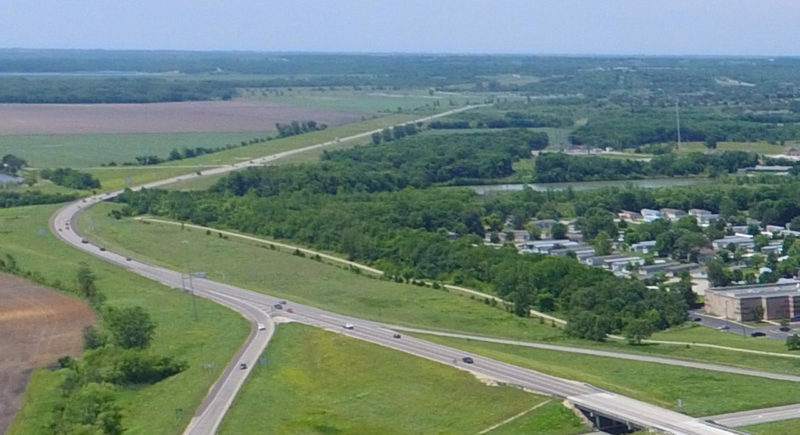 The city states in its response that it declined the couple’s request to relocate the tunnel due to “prohibitive costs” that would be borne by city taxpayers. The city estimates the cost of replacing the entire drainage tunnel would be about $10 million and that relocating a portion of the tunnel so that it bypasses the property at 812 Ohio St. would cost about $1.9 million. The city also states that the couple’s claims are barred by the statute of limitations. 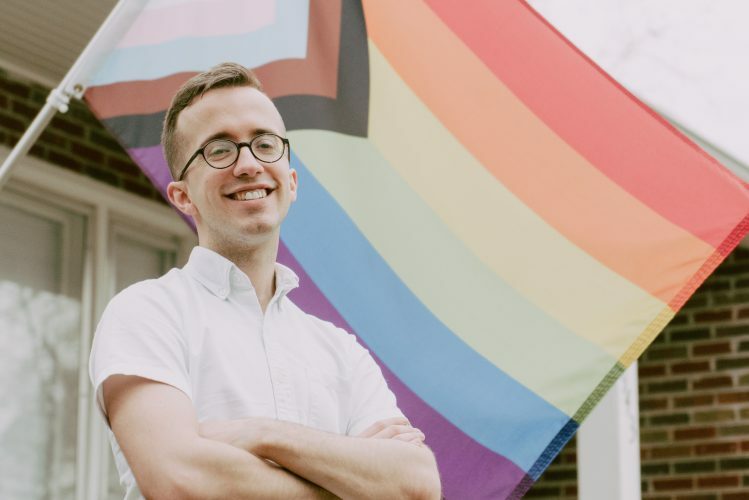 In addition, the city’s response states that the couple has not exhausted the administrative remedies to the problem, citing that they never filed an application for a building permit and the city hasn’t officially denied them the right to construct anything on the property. The lawsuit was filed in Douglas County District Court on Feb. 13, and the city filed its response late last month. The court has not yet scheduled any further action in the case.